MGM and Warner Bros. Pictures have released the first official trailer and poster for the upcoming film, Creed II, the next installment in the Rocky franchise. The highly anticipated film stars Michael B. Jordan as Adonis Creed and Sylvester Stallone, who won a Golden Globe for Creed, is reprising his role as Rocky Balboa. The story leads up to Adonis' next big fight where he goes up against Viktor Drago, the son of Ivan Drago (Dolph Lundgren), who killed Creed's father Apollo in Rocky IV. The junior Drago is being played by Florian Munteanu, aka "Big Nasty", who is a Romanian boxer in real life. The cast is rounded out by Tessa Thompson, returning as Creed's love interest Bianca, Wood Harris, and Phylicia Rashad. 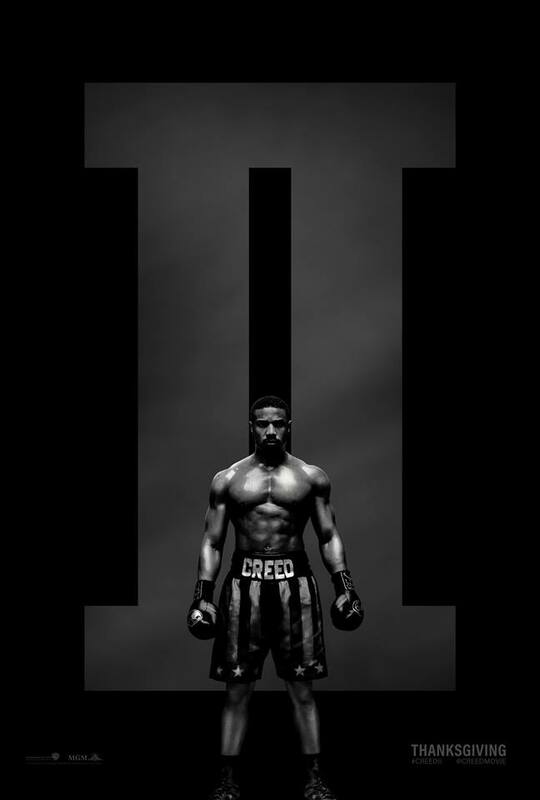 Watch the Creed II new Official Trailer below. Directed by Steven Caple Jr., Creed II hits theatres on 21 November 2018 in the US and 30 November 2018 in the UK. Find more release dates.